Master-9 is a true balanced design applying the newest ACSS design, preamp and headphone amp. Full range of inputs and outputs allow connect the gear to any other device working in world common standards. Inputs and outputs are balanced XLR standard, unbalanced RCA or ACSS compatybile with products from KRELL CAST, SATRI. Master-9 applies ultra-low distortion in full range of volume level. Total applied 12 pcs exact matching 150W transistors (In total 1800W) as the output stages and PSU stages for implement large class A output power. Uses three R-core transformers (In total 135W) separate power supplies for the digital control components, right and left channels. Super Exponential Volume Characteristic, easy match the volume with very high headphone / speaker without change the gain mode. Static storage mode control software for avoid disturb sound quality, the MCU output once control data and save in the perform parts ,then stop output data until users next operation. There are a lot different DACs, they had different design and output impedance. For avoid the sound quality effect by different DAC's output impedance, in the Master 9, it had design 4 groups expensive class A FET cascade buffers in the input. All the input signals through these FET buffers, the output impedance had become very low, even the source had high or low output impedance. The FET buffers working on pure class A state, and it is so short signal journey, it can keep the sound quality without coloration, dry and harsh . Master 9 is a true balanced design applying the newest ACSS design which can improve the XLR connection to sound as good as the ACSS connection. They seem complex, but in fact they are the most simple design the world has ever had, their a lot components to process the power supply. The simplest and shortest signal journey brings out the most neutral and least colored sound. Master 9 applies ultra-low distortion single stage ACSS amplifier and soldered directly on the motherboard. It is a fully class A preamp / headphone amp and applies class A power supplies. 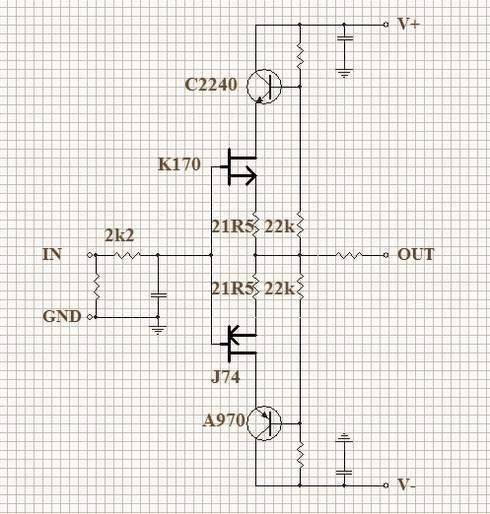 All signal gain is in current, all transistors work in pure class A mode. The Master 9 output buffers had applied 4 pair power transistors ( 150W / 15A ) working on pure class A state, the output impedance is only 1 ohm, it can drive most headphones and amps as well. Master 9 has all components of four channels exactly matched before installation. The Master 9 had design 4 groups diamond difference output stages as the balance drive stage, every parts had exact matching before assemble so don't need any human adjustment. The output stages had four pair 150W transistors ,they also working under pure class A state, the balance output mode had 4X times power than the same state single-ended mode. The pure class A design had larger drive ability than the specs, it drive the headphone not worst than a double power class AB design, not to refer, the pure class A is the best sound design in world. The balance drive mode can kill the noise and distortion in the end of the headphone, much improve the sound stage, background and the transparency, ect. 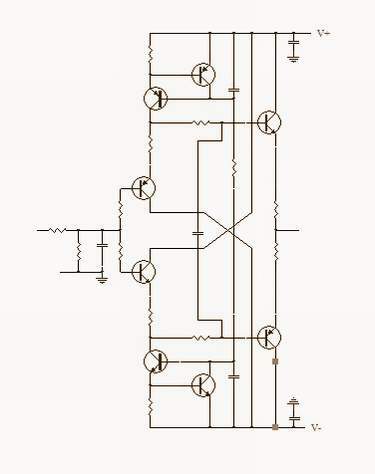 Three special transformer are used to supply power separately for the audio and control circuit. Master 9 uses 8 groups of high-quality PSU . The class A parallel connection PSU has very high input impedance to avoid pulse through the PSU from affecting the preamp and low output impedance with very fast speed and high linear, so it is a very clean power supply. Master 9 applies seperate linear PSUs for the display and control parts, avoid the disturbances through power line from affecting the amplifier. The volume control is also different from conventional technology. Conventional volume control technology is the volume control implement in the analog amp input stage through a volume pot to reduce the signal. The volume pots quality effect the sound quality direct, the low quality volume pot cause lost the detail and channels imbalance cause the soundstage distortion. Even the high performance volume pot still cause the detail lose. Whatever quality volume pots, must cause the S/N worst. But in the Master 9, is applied the I/V conversion volume control, the volume control just a variable passive I/V conversion place at the ACSS amp output , where the output is the current signal, not the voltage signal. The volume control is I/V conversion, and the volume depends on the current (I) conversion to the voltage (V). (Like R-2R D/A chips output passive I/V conversion). It can keep the signal frequency band flat and not lost any detail. It can't degrade on sound quality in every volume level. After the volume, there are four groups diamond non-feedback buffer output stages offer the very low output impedance. The volume control quality is much important in the real balance gear. It must guarantee the four channels signal control exact to achieve the performance of the real balance gear. If the cool and hot of the balance signal can't guarantee exact, the balance output will has large distortion cause the sound quality and performance even much worst than a single end gear waste the balance gear design and the cost. In Master 9 is applied a four channels digital control relays based volume control. Master 9 has total four channels through changing the DALE resistors to control the volume for avoid channels imbalanced, achieve the best performance and sound quality of the gear. Master 9 have 100 steps volume control, control range achieve 90DB (usually the steps volume ports, potentiometer volume port, relays base volume control all have around 70DB range), very smooth control range on first 50 steps, cooperate with 20DB high gain, so can very easy adjust the volume for both high / low sensitivity headphone and speakers. While change the volume, the different relays break or close, it may had slightly switch sound on output and disappear while stop change the volume. Master 9 has complete separation of left, right amplifier channels, power supply, and transformer. Master 9 uses heavyweight all-aluminum alloy chassis to prevent the eddy current of transformers from interfering on circuit board.